The Senate passed HB 25 on January 25. The substance of the bill requires public employee unions to decertify if their membership falls below 50% at the time for recertification. The bill passed by a vote of 65-41 mostly on a party-line vote with a single Republican no vote. That despite the fact we are a union of members who choose to participate – no one can be forced to join our union. 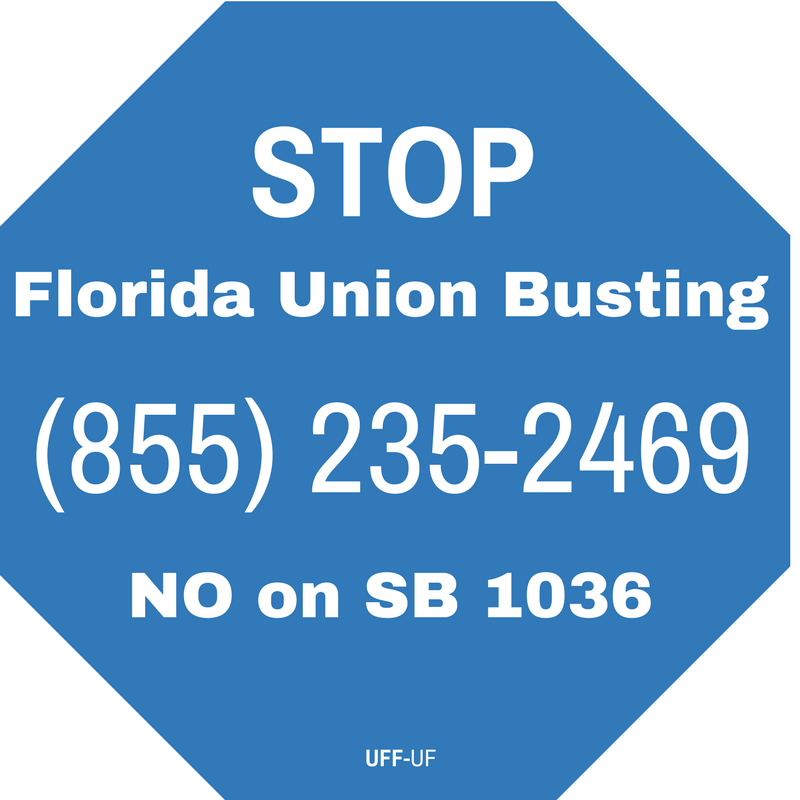 Florida is a right-to-work state where union membership or payment of union dues cannot be compelled. The Florida Constitution gives employees the right to join a union to give them a strong voice regarding wages and working conditions. This measure would take away that right. 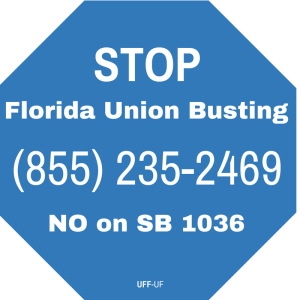 The bill is also potentially unconstitutional as it exempts first responder unions and is a direct attack on UFF and FEA unions and displays strong gender bias since 75% of FEA members are women. The Senate companion, SB 1036, by Senator Greg Steube is referred to three Senate committees and has not had a hearing. While that news is optimistic, contacts to your senator are critical now that HB 25 has passed the House. Call (855)235-2469 and enter your zip code to find your senator. Talking points here. House Chair Larry Ahern (R-Pinellas) and Senate Chair Bill Galvano (R-Bradenton) released the chair proposals this week. The College budgets differ by $25 million with the House having the highest number. While the Senate University budget exceeds the House by $372 million. Both budget proposals provide less funding for colleges compared to the current year. The House university budget proposal is over $235 million less than this year while the Senate proposal is about $135 million more than the current year, mostly for an increase of $100 million in the flawed performance funding formula. Both proposals fail to meet the needs of our colleges and universities.